This is why you love me: I’m a truth-teller. 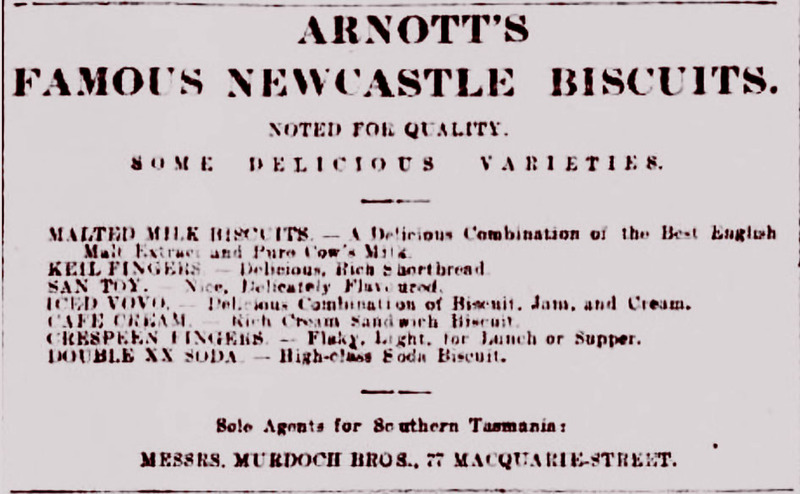 And the truth is that Aulsebrook’s, a Kiwi biscuit company established in the 1860s, were making Iced VoVos before Arnotts registered the name, an interesting discovery I made this week whilst cruising the newspaper archives. 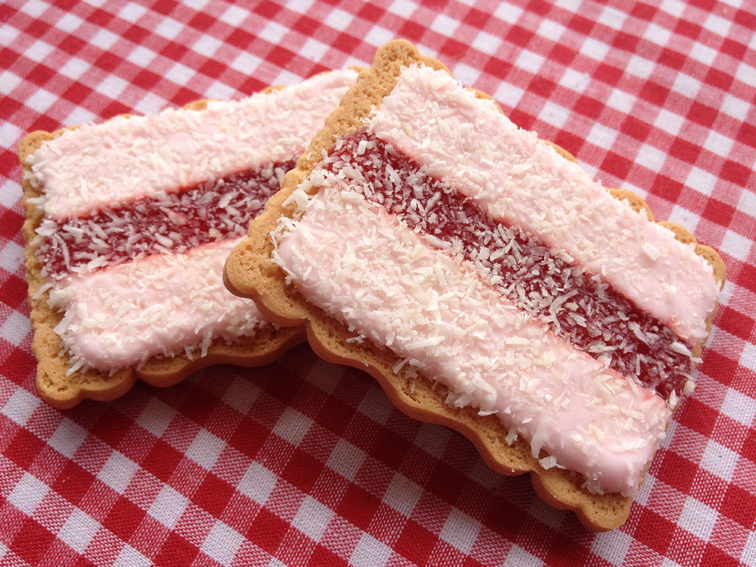 The Iced VoVo is a biscuit covered with pink fondant and has a strip of strawberry jam running down the centre; the whole lot sprinkled with coconut. At this point it has been well and truly claimed as an “Aussie icon” much like the Gingernut has been in New Zealand. It’s status as such has never been challenged – until now. You can find the Wiki entry with a link in references to the official page at the Arnotts site here. The classic Arnotts Iced VoVo today. Photo courtesy of Verity Grace, The Accomplished Woman blog. So, here’s the proof from The Star newspaper, 21 November 1905. Although Arnotts trademarked the name in 1906 – so say the company themselves –Aulsebrook’s were making them some time before that and continued to sell them through 1908 at least, I suppose until they perhaps had to concede to the legalities of the matter. 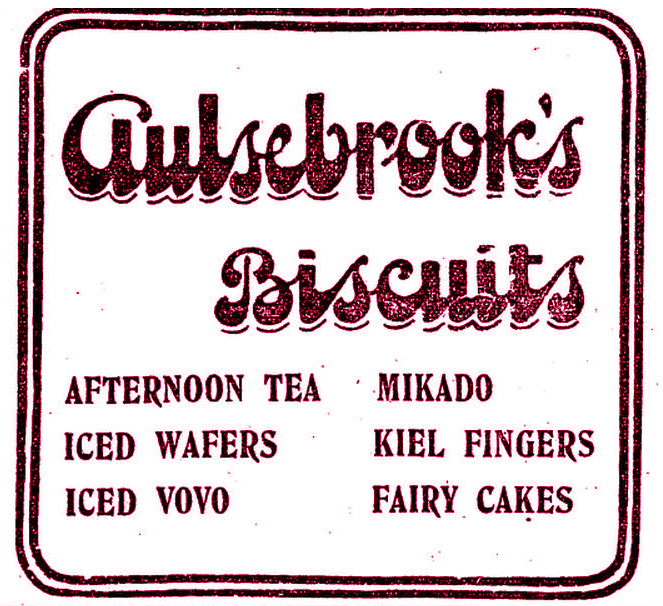 Aulsebrook’s biscuits advert including the Iced VoVo – Star, 21 November 1905, Page 4. 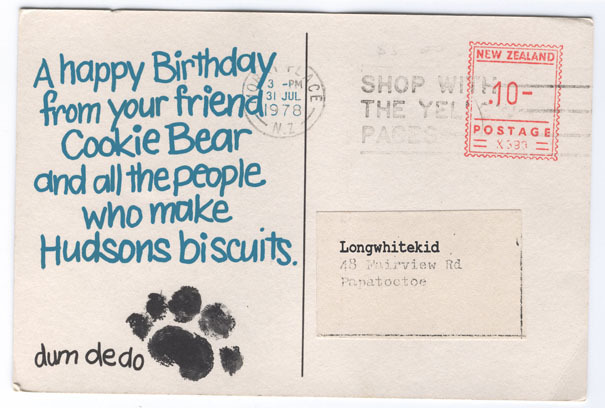 “The Vo-Voes (sic) were first produced by Hardman Biscuits in Sydney, not by Arnotts. Originally the Hardman Biscuits company was started by the Hardman brothers who had immigrated (sic) from England in the 1850s building themselves into a leading biscuit manufacturing company in Sydney. 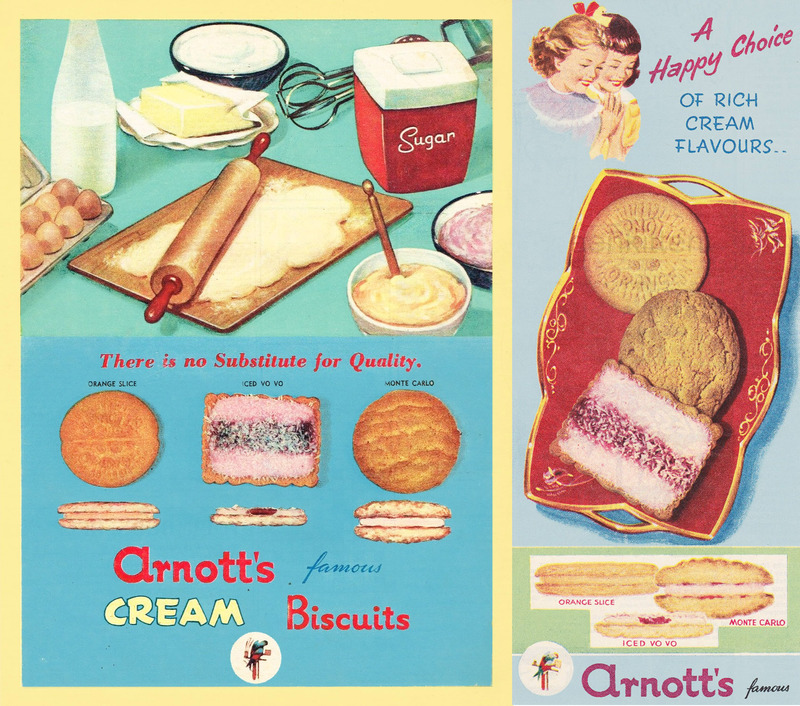 In 1946 after their large factory in Newtown was burned down, it is told by our family that Arnotts bought them out and so the biscuit became a receipt of theirs. There are many of the Hardman descendants (who) remember this story. I being one of them”. It’s true the factory was in Newtown and burned down the year Meagher quotes; but before we even talk “who was first?”– I have a question about how Arnotts could have staked their claim forty years earlier if they didn’t purchase the rights to the VoVo until the mid to late 1940s. Given that, I can’t even begin to consider this statement a contested site. How people remember things, or how stories are passed down, and what the facts are – are different things completely. A variety of Aulsebrook’s, Bycroft, and Hudson biscuits, Hawera & Normanby Star, 18 September, 1906. Yes, so – unless someone can actually provide a date that’s earlier than the Aulsebrook’s creation – the Kiwis win AGAIN. First the Pav, then apparently the first chocolate factory (according to Hudson history, truth be told I’m actually not sure I believe this claim until I look into it some more- but anyway, I will go with it for the time being)… and now this. Being hit multiple times in the pop-cultural/historical stakes has got to result in a K.O eventually. Trove actually shows that my date for the launch of this product has been usurped by Arnott’s who were selling a “Vovo” (no mention of being iced) by mid-June 1904. By 5th Sept 1905 it was being advertised as an “Iced Vovo”, as we know it today. This, for all official documented intents and purposes – scrapes in a mere three weeks ahead of Aulsebrook’s and scoops the title. It should be noted here that Aulsebrook’s had made a move across the ditch and set up in Sydney around 1890 where they successfully established themselves – one of very few brands to achieve that feat. 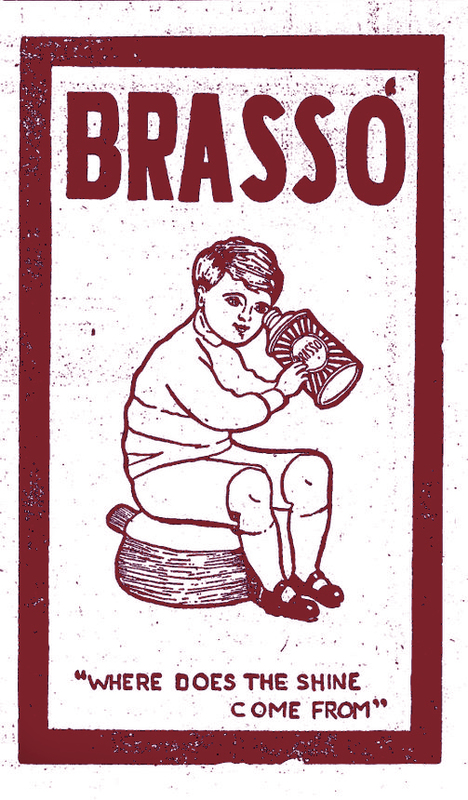 So this begs the question – did Aulsebrook’s bring the Vovo with them, a lot earlier than 1904? Still no mention of Hardman’s, anyway. For everyone’s claims in Australia that they were definitely first – I’m yet to see any evidence whatsoever! If you have an advert or some packaging that shows different, then bring it on. 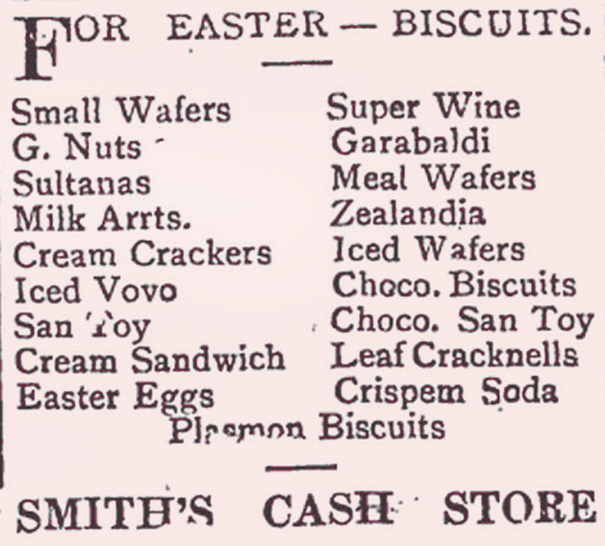 Arnott’s Vovo biscuit, no mention of icing, The Mercury, Tuesday 14 June, 1904, page 3. 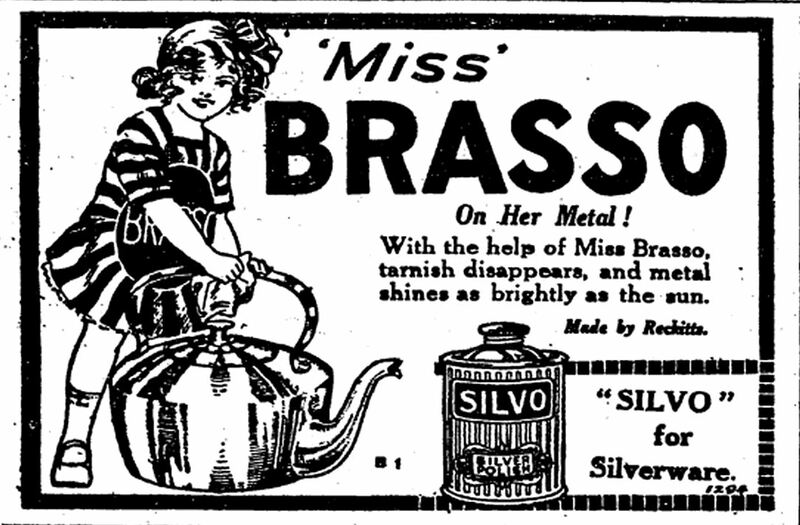 Courtesy of the National Library of Australia, via Trove digitised newspaper archive. 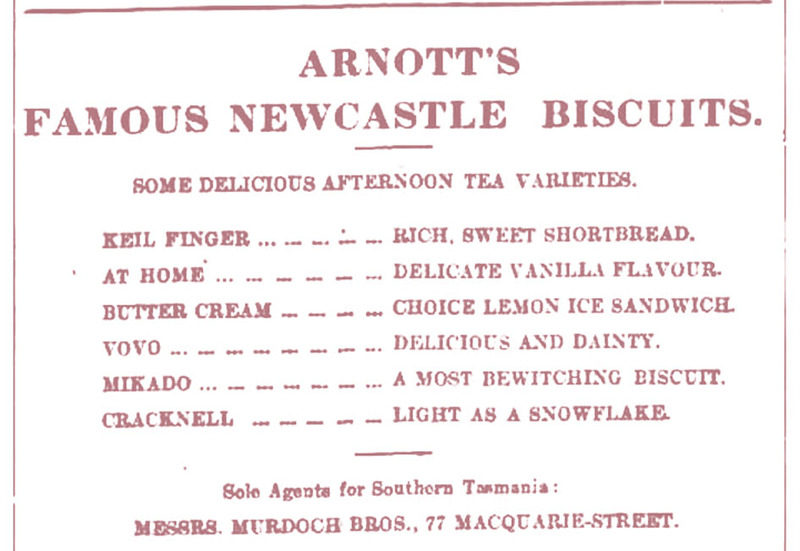 Arnott’s Iced Vovo biscuit, The Mercury, Tuesday 5 September, 1905, page 3. 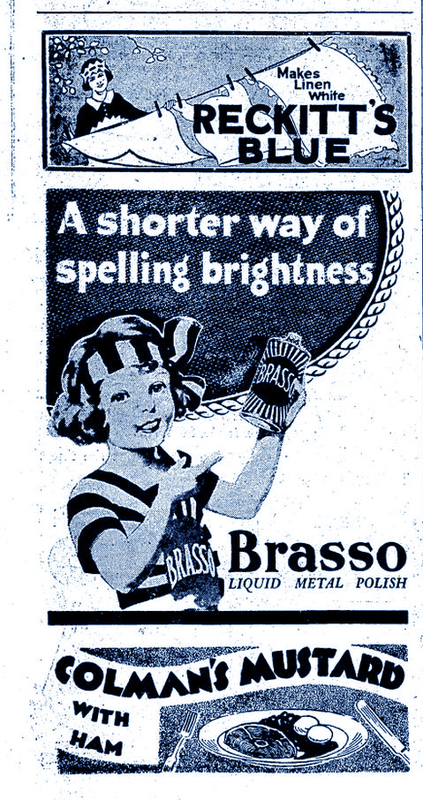 Courtesy of the National Library of Australia, via Trove digitised newspaper archive. Addendum late Oct 2015: A couple of vintage Arnott’s adverts showing the Iced VoVo have appeared online recently over the ditch; both issued in the Australian Woman’s Weekly in 1960. It doesn’t have any revelatory bearing on the thrust of my story, obviously, but I just thought I ought to save them before they disappeared for good. I was cleaning out the cupboard the other day and I came across this old lid carefully packed away, which I’ve had since I was around 12 years old. I found this half -buried under a Victorian villa in Newton Gully, where my aunt lived in the early 1980s in an apartment underneath the building. The thing I remember most about it was that it was quite close to the Lion Breweries on Khyber Pass, Newmarket – and the smells wafting as the beer fermented in various stages ranged from amazing (apple pie) to absolutely sickening (foot odour). It was also was the first time I had seen cockroaches as we generally didn’t have them in New Zealand and at night they would swarm over the footpaths like a sign of the apocalypse – I suppose attracted by the ingredients like malt and hops, combined with the heat generated by its maturation in the gigantic vats nearby. Anyway the couple who owned the house were quite happy for me to climb underneath with a torch and fossick around and over time I found a number of things including this polish tin which I have kept packed away until now. Dome Boot Polish, the Northern Advocate , 1 November 1910. I’ve found references to Dome polish in New Zealand only between 1909 and 1912 so I feel fairly confident it is that old. 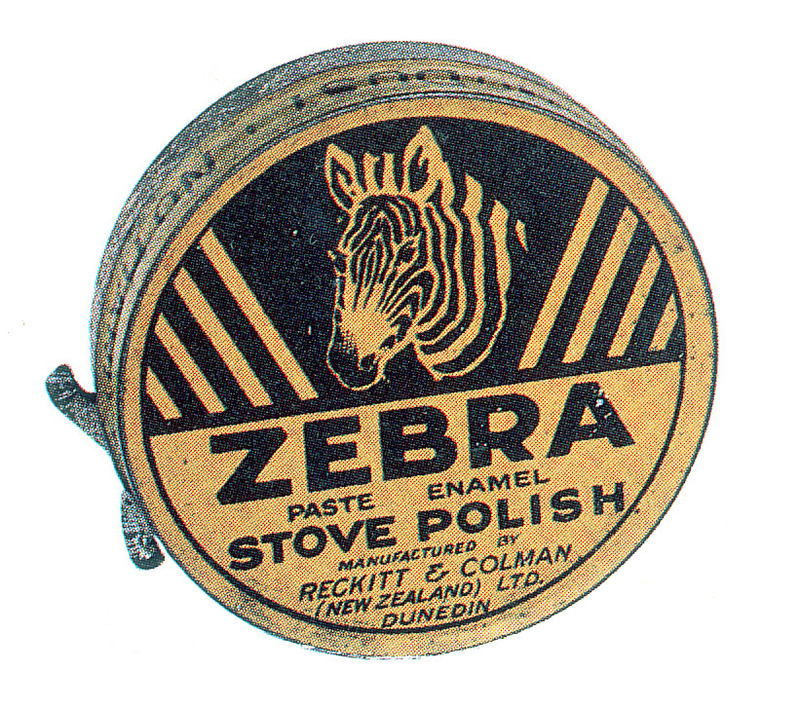 I’ve always liked it because the radiating stripes reminded me of the old Brasso polish tins, and just recently I found out exactly why this is – because both products were produced by Reckitt & Colman at the same time and used elements of the same bold design. 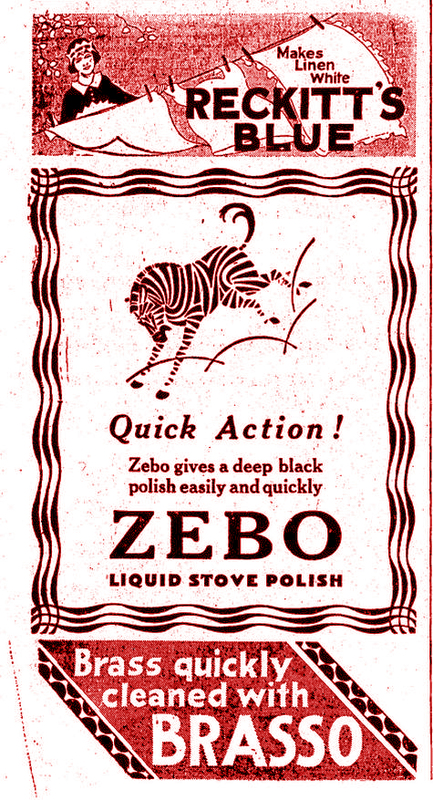 R & C also made Zebra (solid stove paste) and Zebo liquid polish (often advertised together), aforementioned Brasso (liquid metal polish ) as well as Reckitt’s Blue for laundry, Colman’s (starch, flour, laundry blue, mustard), and Keen’s (curry powder, laundry blue), Silvo liquid silver polish and Rinso laundry powder also came along in the 1920s. 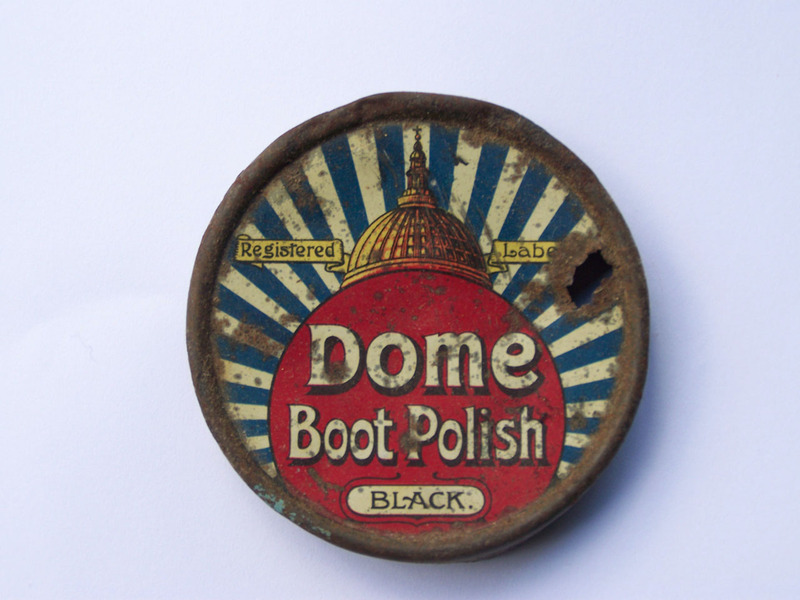 ” Dome Boot Polish, the latest product of Reckitt and Sons Ltd, have undertaken a successful advertising campaign, just as the streets were filling with business men on Saturday, led by a youth carrying a large poster announcing that “Your boots will be polished free today by the Dome Polishing Brigade”. Then came a string of neat boys, dressed in red and blue jerseys with red caps, each carrying a Dome polishing outfit, this brigade slowly paraded the main streets of the town drawing the attention of every passer-by. Shortly after nine o’clock each boy dropped out of the line at his appointed station, where ’til 12.30 he was busily engaged in polishing boots free”. Perhaps as attention-grabbing as the drive was, it may not have worked long term for Dome doesn’t appear again that I can find. J&J Colman began with mustard in 1814; and Reckitt & Sons started manufacturing starch in 1840 and quickly diversified into cleaning products. 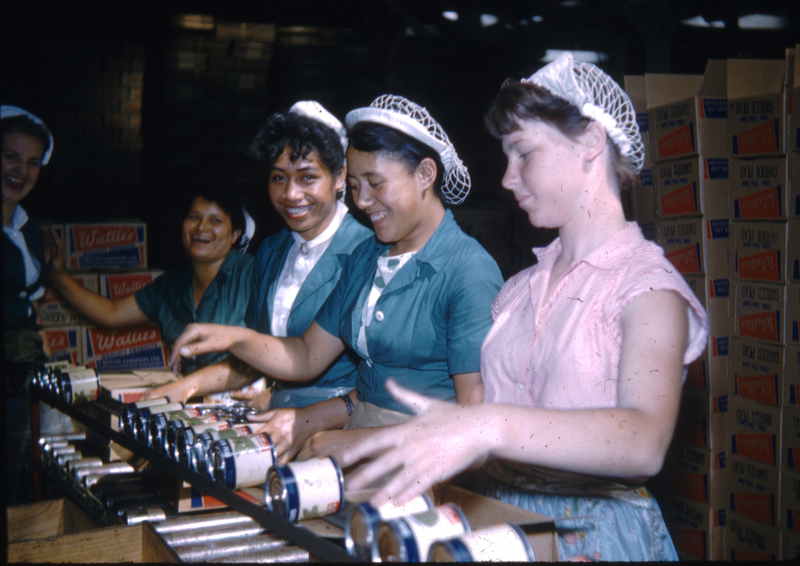 Both were established in Britain and merged in 1938 to form Reckitt & Colman Ltd. Colman’s Mustard was being sold in NZ as early as the 1850s, and the company’s laundry blue and starch from at least the 1860s. Flour and cornflour followed, and Colman’s Breakfast Semolina seems to have been short-lived attempt at breaking into the burgeoning breakfast cereals market in the1910s as it moved from your standard oatmeals to more specific consumer-driven “instants”. 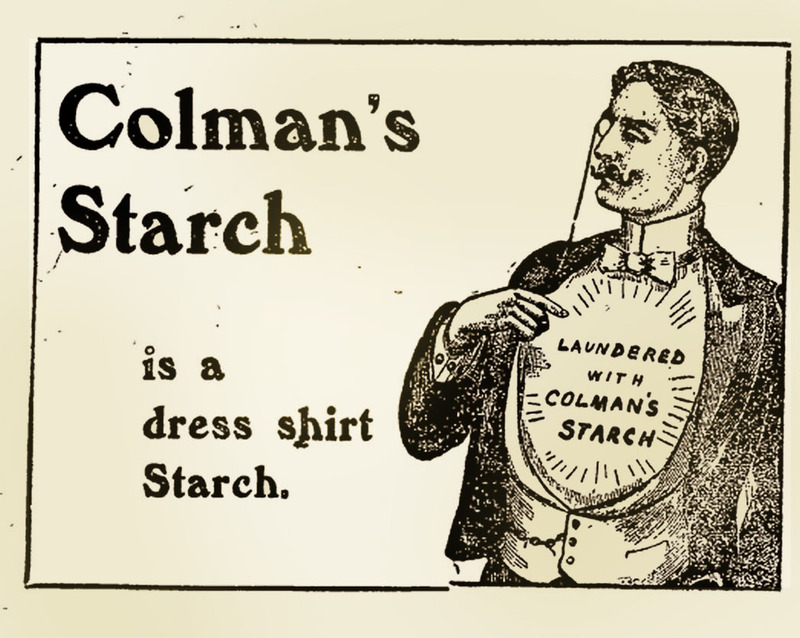 Colman’s Starch advertisement, Otago Witness, 22 November, 1905. Never mind a couple of failures: they had acquired Robinson’s Barley, Groats, and associated products in the deal with the Keen’s brand some time back and were doing great business. 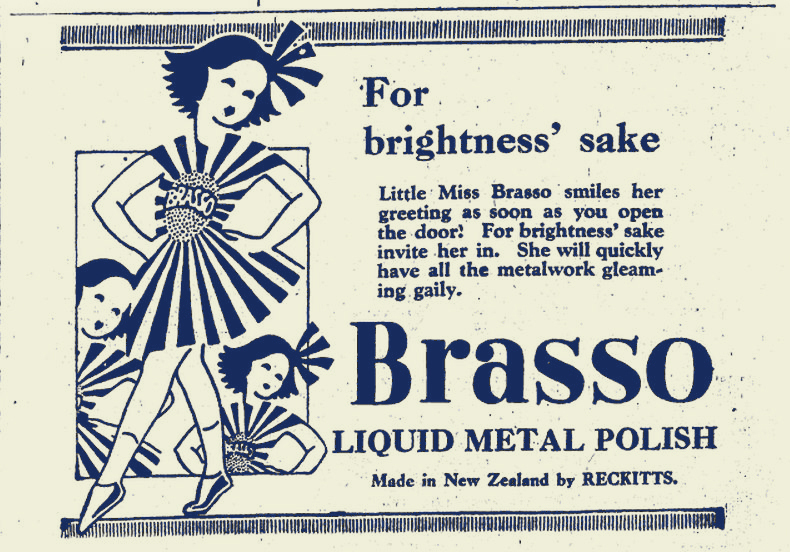 The war of the 1940s did nothing to quash their boom years and in 1940 the company changed names from Colman-Keen (NZ) Ltd to Reckitt-Colman (NZ) Ltd; by this time they had added Robinson’s Lemon Barley Water crystals, and they were marketing several new products in the Antipodes like Steradent (false teeth cleaner), Dettol and Sanpic (disinfectants) and Steelo (steel wool scourers and aluminium cleaner). Three-in-one advertising for a trio of Reckitt & Colman’s most popular and enduring products, Evening Post, 1931. These included cleaning, food and toiletry items such as Boon and Twin Cleaners, Airwick freshener, French’s Mustard and Hamburger Seasoning , Goya Perfume, Cedarwood Men’s Toiletries, Janola, Plush Carpet Cleaner, and Robin Starch just to name some. Most eventually came and went (Goya International lasted well into the 1980s when they still had enough business to maintain a separate factory premises in Mount Roskill). Out of the lot, Janola is the brand that has gone on to become a household name. Robert Scelly remembers working in the bakery division on the biscottes line, but doesn’t specify what brand (I wonder if this is the answer to the Red Band mystery? https://longwhitekid.wordpress.com/2011/09/01/band-of-old/ ). A report from the UK of 1961 mentions acquisition of “Biscottes ( New Zealand) Ltd, a small company making Dutch rusks”, and this date matches the year Red Band was registered as a trademark. 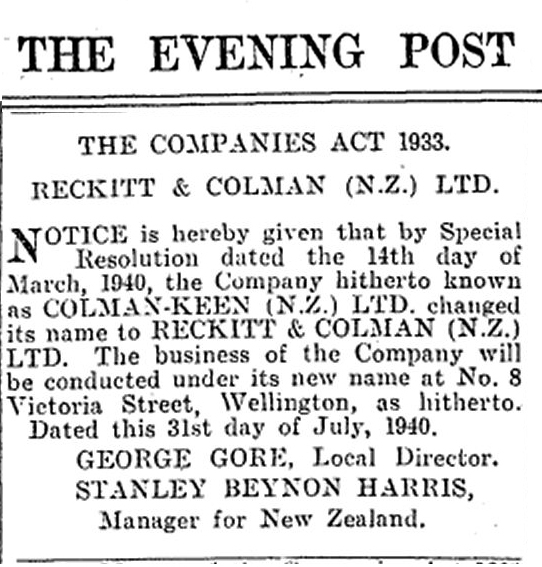 At this point the company had been re-jigged to Reckitt, Colman, Nugget (New Zealand) Ltd. In the early 1960s they were producing Nulon hand cream. Shirley Gussey also remembers biscottes as well as pretzels by the late 1960s (but unfortunately she can’t remember the name either, I’d say it was Slim Janes – which were produced in plain salted, onion, cheese, and celery flavours into the 1970s), along with cordials, lemon barley water, soaps, talcums and perfumes, various condiments, Nugget brand solid and liquid polishes, Disprin and other pain relief brands, antacid, and baby food – this she recalls was all being produced out of “massive premises in Rosebank Road, Avondale”. As the 1980s rolled on they were also churning out dozens of lines including Harpic toilet cleaner, Finish dishwasher detergent, a spice range ,powdered drinks, and a line of Gale canned fruits (boysenberries, feijoas, kiwifruit, strawberries, whole plums, tomatoes, blackberries, and golden tamarillos). In 1995 the Colman’s brand was demerged from R & C and sold off to Unilever (UK) Ltd. In 1999 the company merged with Benckiser NV to become Reckitt Benckiser which is now the largest supplier of cleaning products worldwide. Today they still produce many of the products that have lasted through the decades to become the firm household faithfuls and favourites we are all so familiar with. 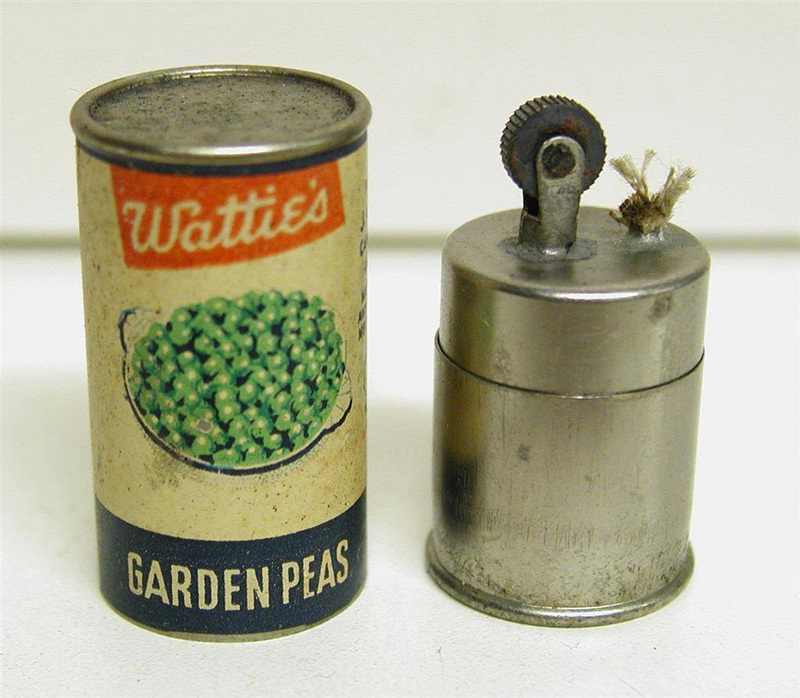 I was able to pick up some details of the 1959 version of the 11 ounce pea can from the slide images below and in combination with a promotional lighter that Wattie’s issued in the form of the pea can around this time, I was able to recreate it. 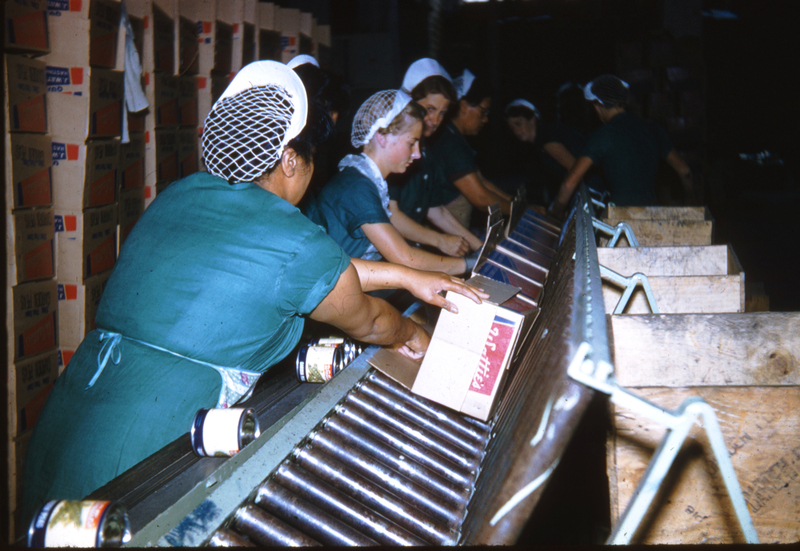 I was thrilled to get this batch of slides recently off Trademe for a fairly nominal price , supposedly unpublished images taken by someone inside the Wattie’s plant around 1959; ladies in peaked net hats sorting piles of beans and peas, packing cans into boxes, men prodding things in bits of machinery as men are want to do. 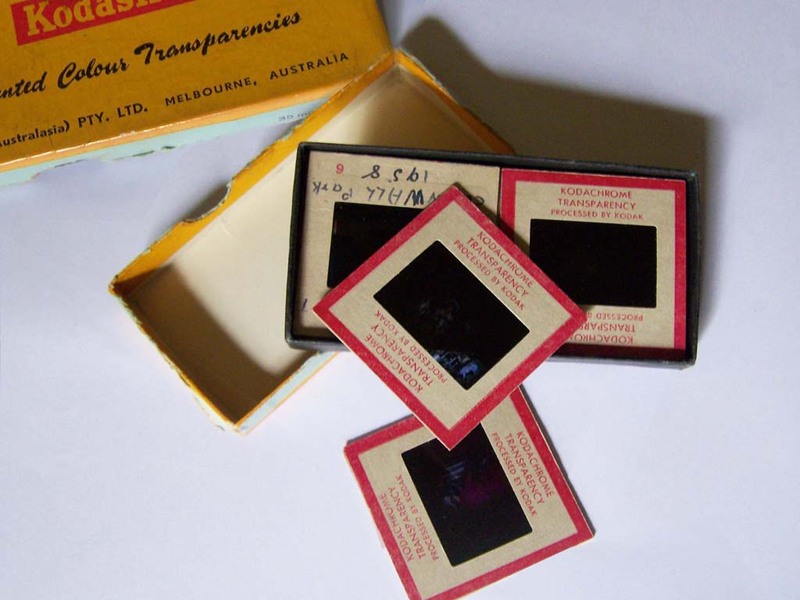 I am going to include the captions as written on the slide frames: This one simply said “Wattie’s – labelling”. You can see the cans and packing boxes clearly. 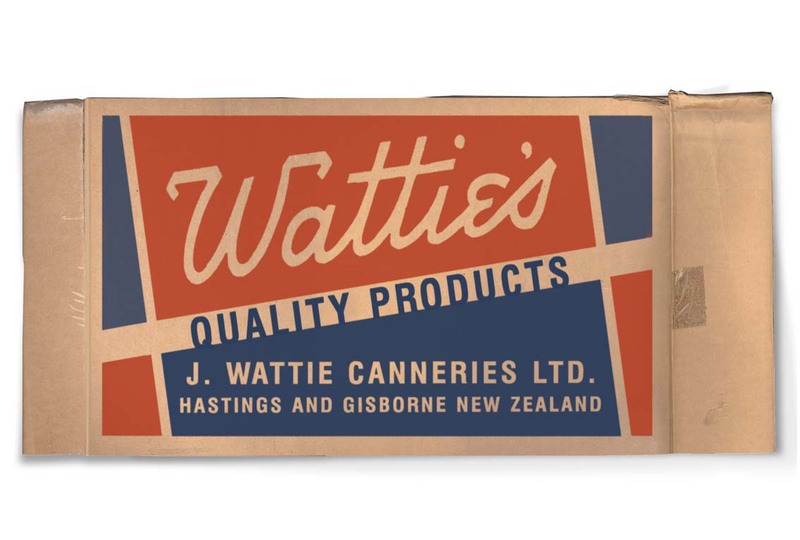 Caption:“Wattie’s – 11 oz labelling”. 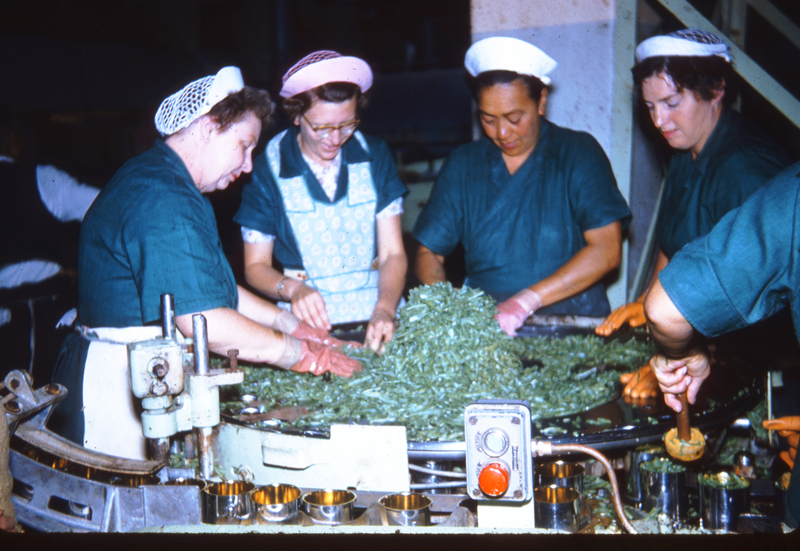 Caption: “Wattie’s – bean filler.” the women are pushing the beans into a multitude of cans set in the circular metal dish and then they are taken out and tamped down by hand before sealing and processing. 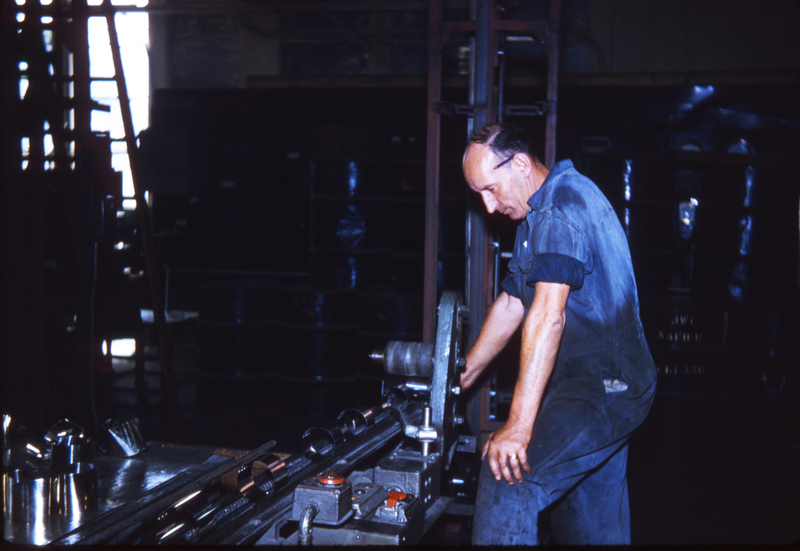 Caption: ” Wattie’s – can-plant stacked ends”. 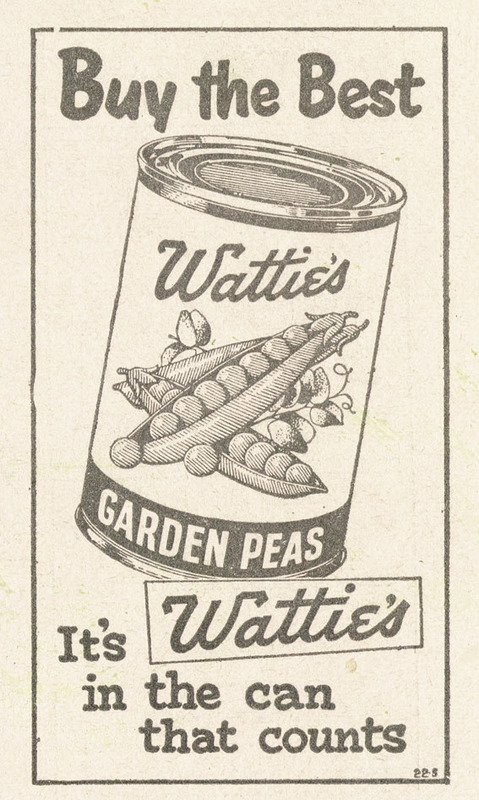 Caption: “Wattie’s – Q F pea belt”. I think it stands for “quick frozen”. These women are obviously doing quality control for boxed frozen peas. 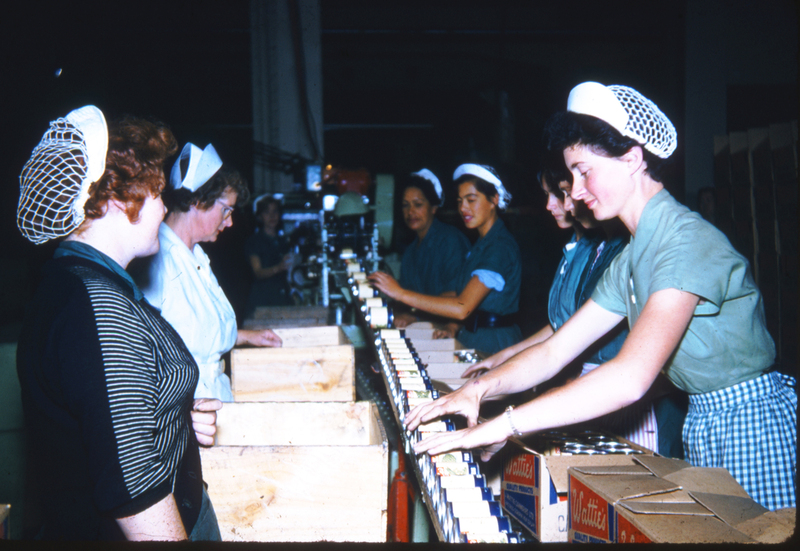 Caption: “Wattie’s – quick freeze department wrapping machine”. Note the flat printed pea boxes. I am going to make a recreation of this later in the year. Caption: “Wattie’s – mother at copper 1959”. I don’t know what the “copper” refers to but it seems to be something to do with the end of the can before it’s sealed. Addendum early Sept 2012: A reader tells me this was called a “capper”, not a copper – this piece of machinery is the seamer for the ends of the cans. Caption: ” Wattie’s – on top floor Wattie’s Jan 1959″. I have no idea what this equipment is. Possibly vats for freezing fluid of some sort, or perhaps these are pressure cookers. 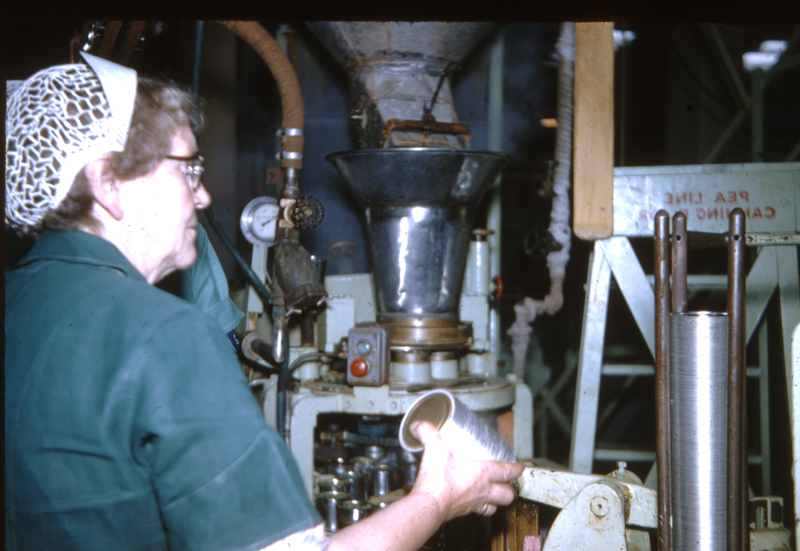 Caption: ” Wattie’s – can making plant”. Apparently this position required a degree in standing around day-dreaming. 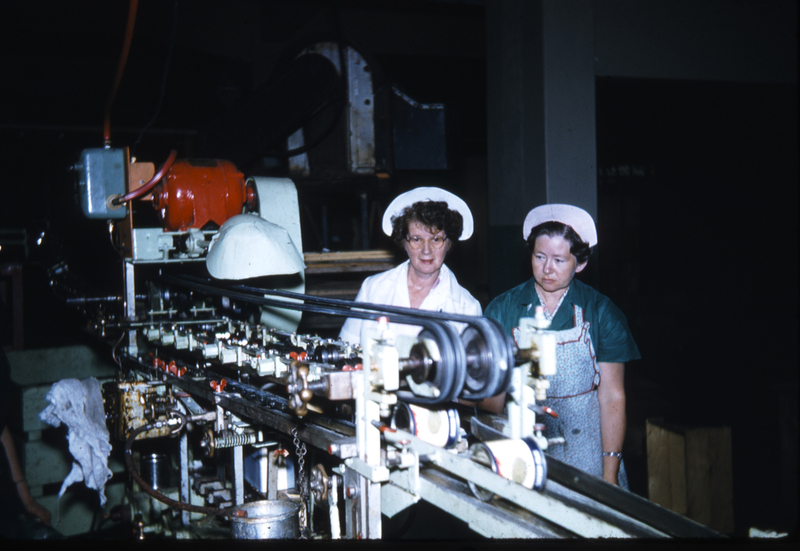 Caption: “Wattie’s – labelling machine”. Finished eleven ounce cans rolling out at the end of the process. Now to pack them, and good to go! 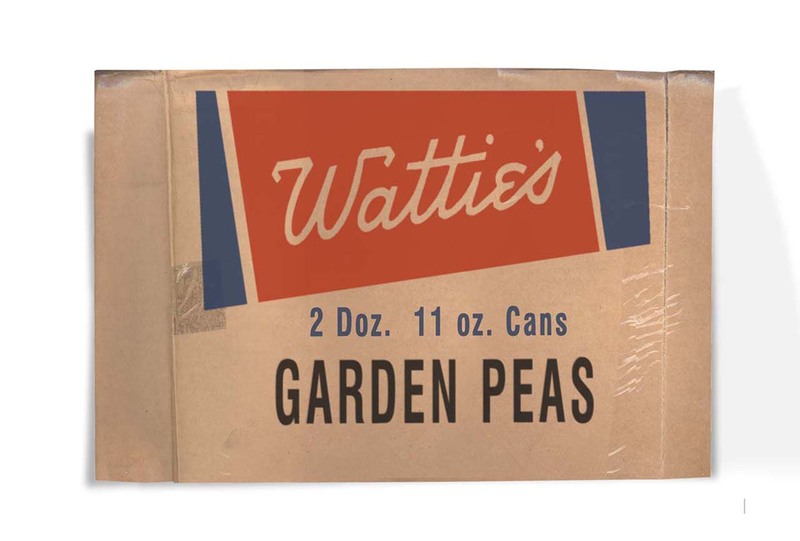 Front design of the factory box for packing two dozen eleven ounce garden pea cans, circa 1959. I’ve recreated this from what I can see in the slides. Side design of the factory box for packing two dozen eleven ounce garden pea cans, circa 1959. I’ve recreated this from what I can see in the slides. Hastings Blossom festival of 1959. 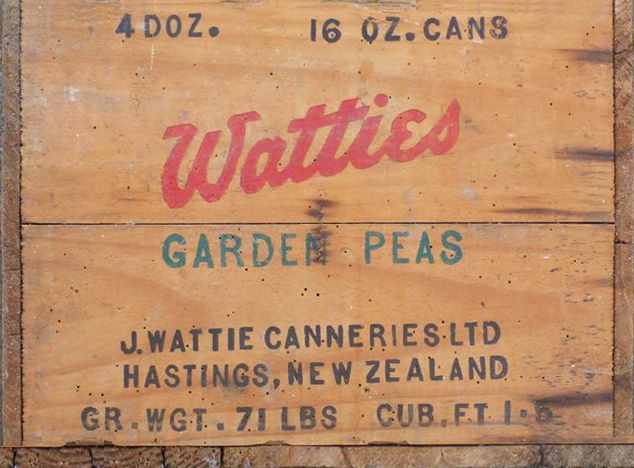 In 1958 the garden peas can label design included in the Wattie’s float above was in use (I have a copy of this in my collection), and in 1963 it was being produced again and back on the shelves of supermarkets. I don’t yet know why they changed it for a short time and then changed back a couple of years later, or why they had two very different designs simultaneously. 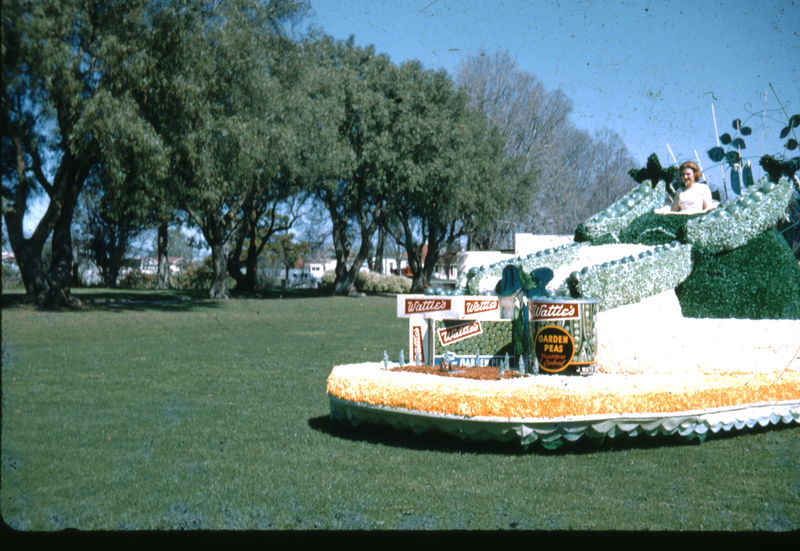 A possibility is that the same float had been used in the parade for a number of years. Addendum, early Aug 2013: An ad showed up in a copy of The Weekly News I bought, dated April 11 1956, showing the same label design in use. Addendum, mid March 2014: This wooden crate made for holding sixteen ounce cans came up for auction a few months back. I would assume it’s an earlier version than the ones featured here, due to the logic that wood shipping items, being more expensive to produce, must have come before cardboard. However judging by the logo, this seems like it probably dates from the 1960s. The logo went through a number of adjustments over the years which help to identify and date various ephemera to within a particular time frame. Earlier than 1954 the lettering is finer with a markedly taller W which has more dramatic kicks at the top. Assuming I’m right – and this is pretty much definitely the 1960s logo –what their reason was for reverting to wood is , I can’t really say. The fact that the box held double the usual number of large cans is probably a clue as to why they went back to that material. However another possibly conflicting piece of information is that the text makes no mention of the Gisborne factory which could mean that it dates from the 1940s, or very early 1950s. The anomaly of the logo could be down to printing technique or medium used on the material, or the artist that drew the stencil up – but doubtful. After their second major premises opened, I assumed it was a rule that both plants were mentioned on all items, but this may not have been a hard and fast rule. Addendum, late June 2014: This image is of the Wattie’s canned peas lighter promo I mention right at the beginning of the article. They are fairly rare and come up for auction may once every couple of years at most. As it turns out this wasn’t the only lighter issued over the years, though; much rarer is a flip-top enamelled metal lighter with a picture of the pressure cooked peas can printed on it on one side – which was the alternate label design that was run concurrently with this one – and a frozen peas box on the reverse (both featured in the slide above of the Hastings Blossom Parade of 1959). Image courtesy of reader Kerry O’Connor’s personal collection. 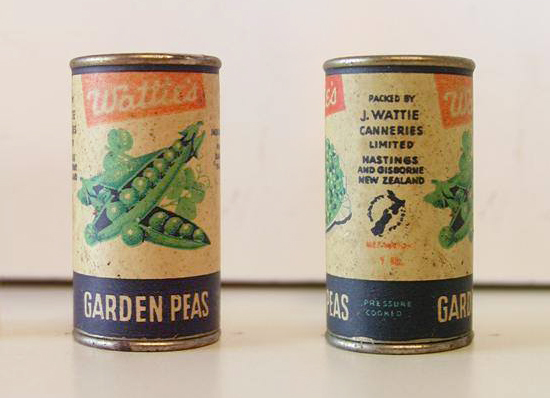 Addendum, mid June 2015: Another shot of the Wattie’s canned peas lighter promo. Image courtesy of reader Kerry O’Connor’s personal collection. 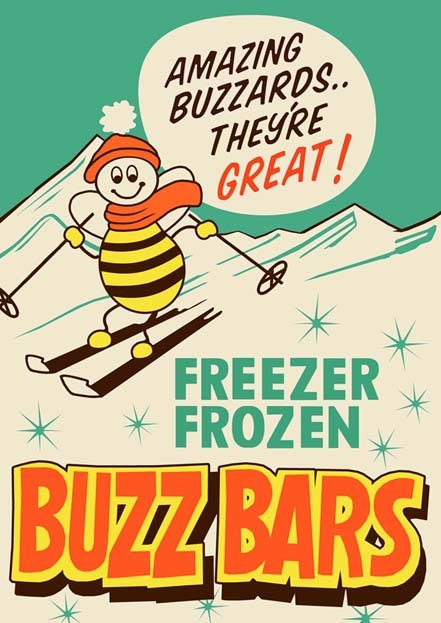 Buzz Bars point-of-sale cardboard poster recreation, probably late 1970s-early 1980s. OK, I’m not sure what else they would be frozen with if not a freezer, but thanks for letting us know. 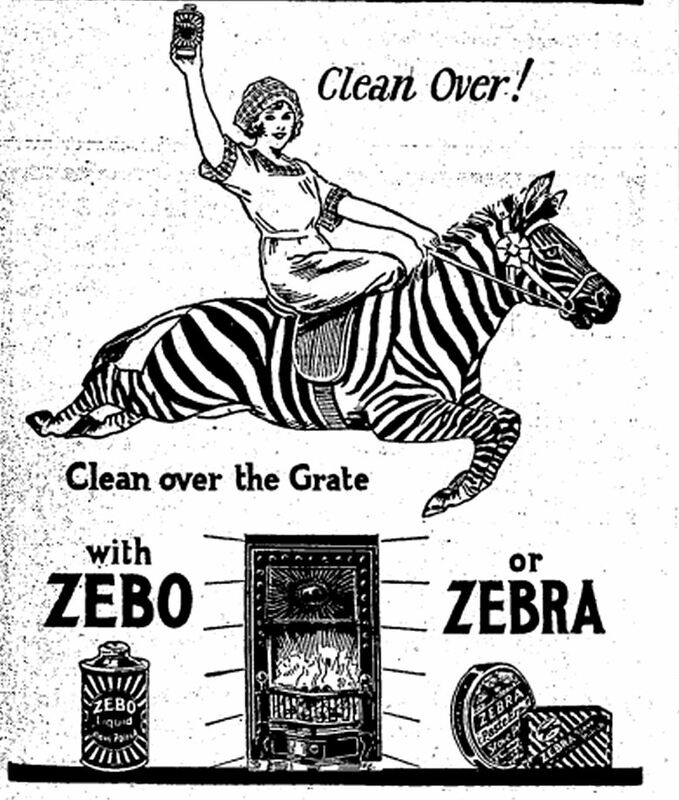 Ah, the joys of vintage advertising. They just kept it simple, even if that meant leaning towards scratchings of complete irrelevance. None of this baffling us with quasi-organic blatherings. 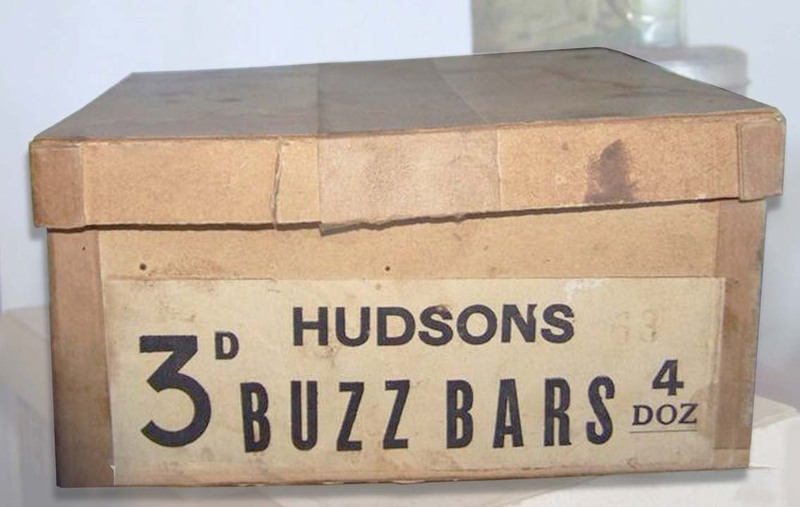 Anyway, I definitely remember these Hudson’s Buzz Bars from my childhood in the 1970s – they were made of marshmallow dipped in caramel, then covered in chocolate. 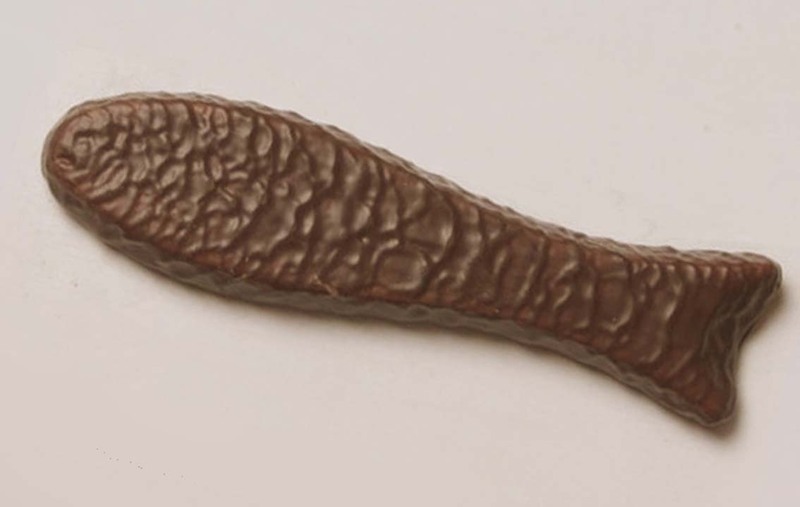 They were extremely popular along with the ubiquitous Chocolate Fish (a seafood shaped, milk chocolate covered raspberry or vanilla marshmallow treat that are often whacked in there with all the other popular Kiwiana icons). Buzz Bars point-of-sale counter box, probably early 1960s. One of my favourite childhood memories is my grandmother’s tenant when I was a toddler; I think her name was Janet or Janice, I can’t quite recall. She just adored me (well, I was very cute) and every once in a while she would leave Chocolate Fish in Nanna’s letterbox for me, sometimes with a Little Golden Book. I recreated this poster at top, which looks to be a card point-of-sale ad of the type that would be hung up in a dairy (known as a milk bar in Australia, or Drug Store in the U.S. – same thing) from a very low res, shoddy photo that accompanied an on-line auction a few months ago and the design looks to date from the early 1980s. 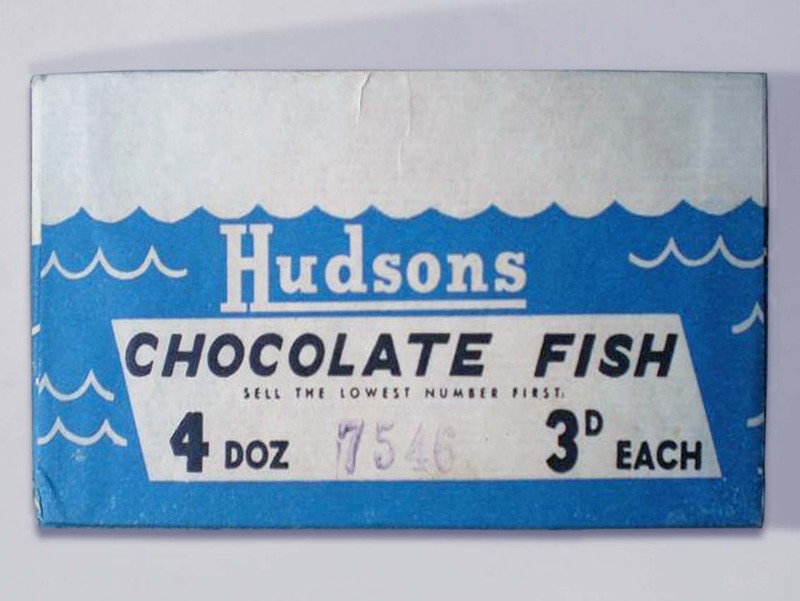 Chocolate Fish point-of-sale counter box, probably mid 1960s. Richard Hudson arrived in Dunedin in 1868 and set up a bakehouse that same year in Dowling Street churning out biscuits and pastries. By 1884 he had established a cocoa processing and chocolate manufacturing plant, thought to be the first in the Southern hemisphere (Kiwis triumphant over the Aussies yet again! ), so chocolate and other confections were being produced from then on. In 1930-1931 Hudson’s merged with Cadbury, (or some sources say Cadbury Fry) of Britain and that is how the first Cadbury chocolate bar came to roll off the production line as opposed to being imported. That’s another whole story we won’t get into right now. 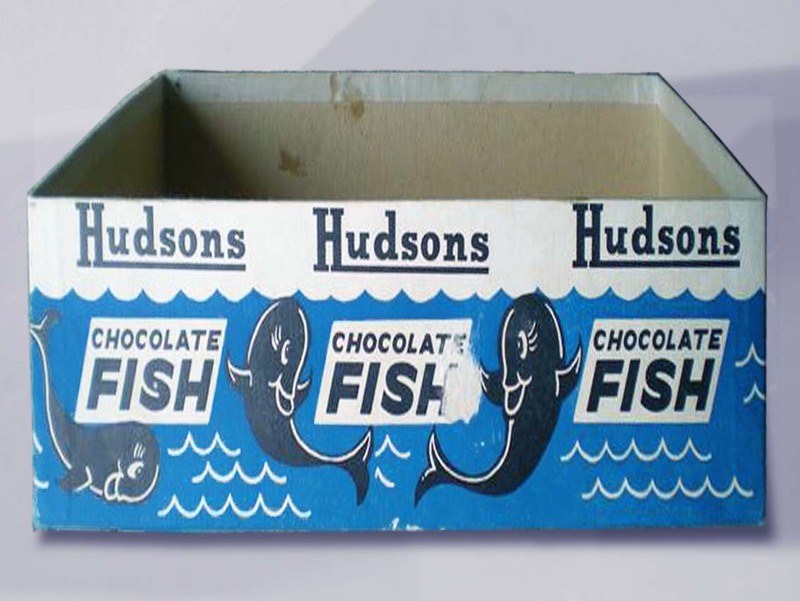 Things chugged along nicely until around 1969 when Cadbury Fry Hudson conglomerated internationally with Schweppes to become Cadbury Schweppes Hudson Ltd. In the late 1980s onwards things start to get really messy with Griffin’s coming into the picture in some capacity, or maybe entirely – and some brand swapping back and forth as well. And moving some Hudson products under the Pascall brand, just to confuse things. See what I mean? I’m sparing you this time around. Basically what was left continued under Griffin’s from thereon although there have been at least three different corporate owners between that period and now. 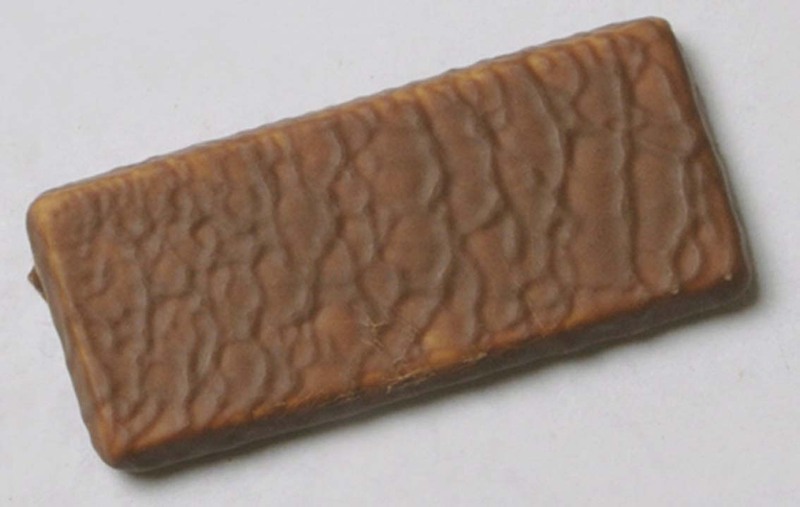 Buzz Bars are actually still being made today, at this time under the Cadbury brand. 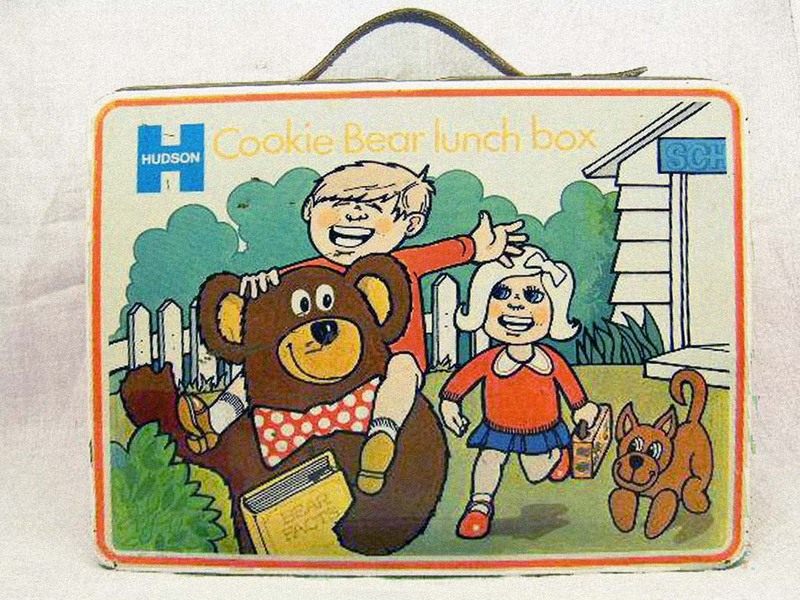 whatever scraps are actually left of the original Hudson’s company confectioneries are now back under the jurisdiction of Cadbury Confectionery Ltd.
I’ll get back to the Hudson’s Cookie Bear, Cadbury and Griffin’s later on in the year, or maybe the following. There’s certainly a lot of ground to cover. Buzz Bar, photo courtesy of Kim Baillie, Wangi’s Famous Lolly Shop, Lake Macquarie, Australia.